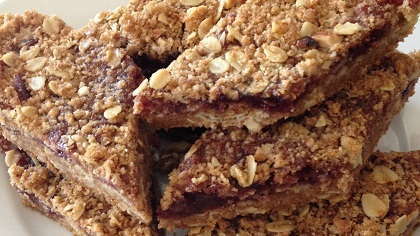 Raspberry cookie bars are a wholesome and chewy alternative to store-bought fruit bars. Bake for 35 to 40 minutes until the top is browned. Let cool completely before cutting into bars or triangles.